Many houses located near beaches look like the house shown in the drawing. 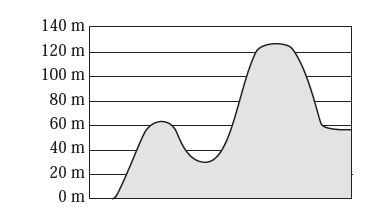 This diagram shows a portion of a roller coaster ride. Students conducted an experiment to test how temperature changes can affect a rubber ball. They repeatedly dropped the rubber ball from the same location and recorded the height of each initial bounce. 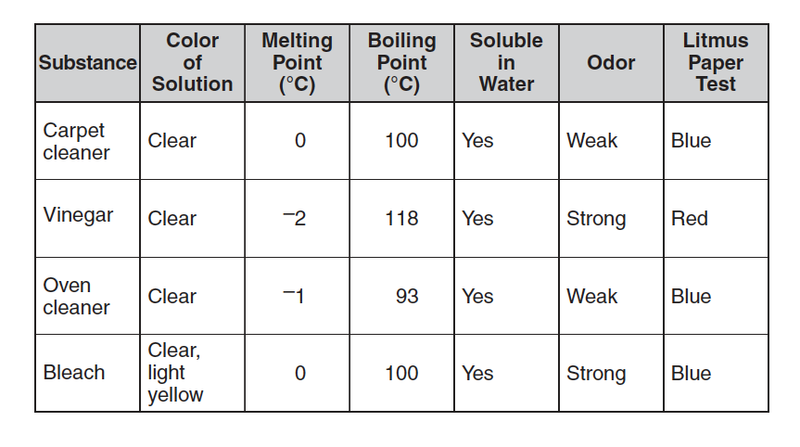 The following table shows properties of four different sample materials. One of these materials is cork, a type of wood that floats in water. 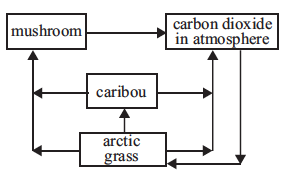 Use the food web below to answer the question. Use the information and table below to answer the question. Curtis conducted an experiment to see if some liquids mix with Liquid X. His results are shown in the table. Use the diagram below to answer the question. 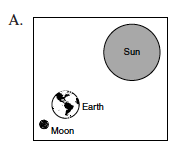 Which of the following diagrams represents a solar eclipse? A carefully measured amount of soil is placed in an oven and heated to burn off the organic material. 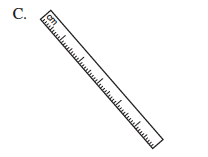 Which of the following tools is best used to measure the mass of the remaining soil? 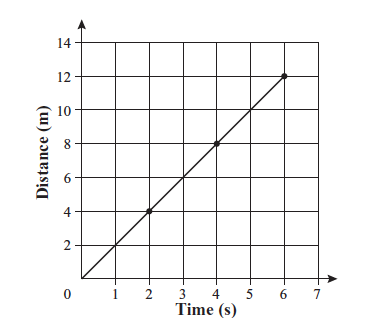 The graph below relates distance and time for a moving object. 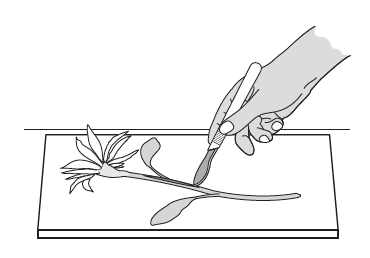 The following illustration shows a design shape. 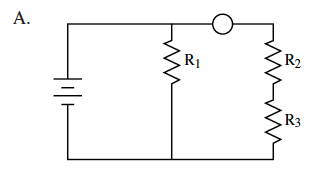 The diagram below shows a circuit. The diagram below shows a pair of pliers gripping a bolt. The diagram below shows two aluminum spheres. The diagram below represents part of the horse fossil record from three time periods. It includes illustrations of the hooves and teeth of Horse's from each time period. A hot air balloon exerts a force of 1200 N while lifting a load of 800 N. Which free-body force diagram depicts the forces involved? 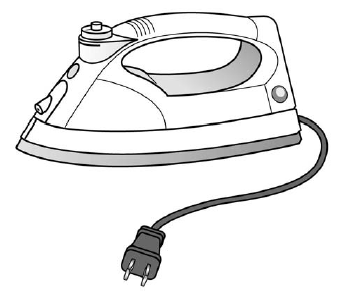 The picture below shows an iron. 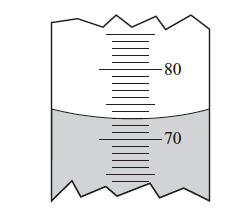 The drawing below shows part of a graduated cylinder containing liquid. The following diagram shows a caterpillar, mold, and a fern. 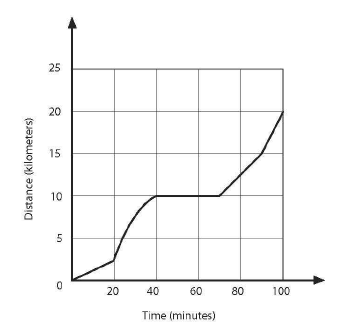 The graph below relates distance to time for a rolling ball. 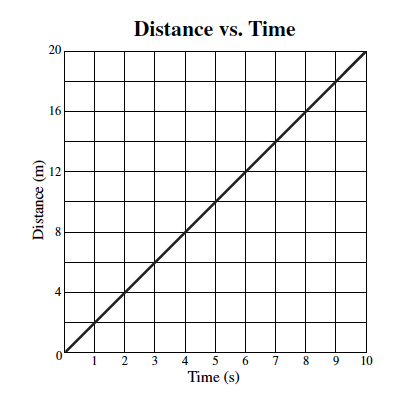 The distance vs. time graph below shows data collected as a remote-controlled car moved across a level parking lot. 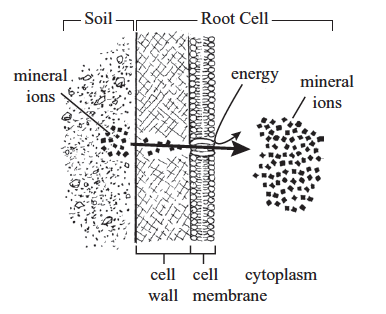 The diagram below illustrates how plant root cells take in mineral ions from the surrounding soil. 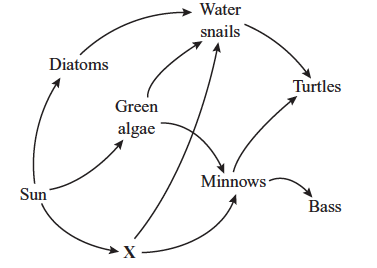 A freshwater food web is shown below. The table below shows the number of each kind of atom that makes up one molecule of the compounds sucrose and ethanol. 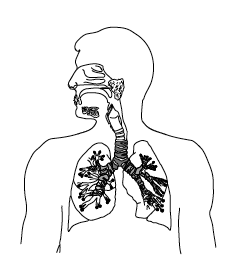 The diagram below shows a major system of the human body. 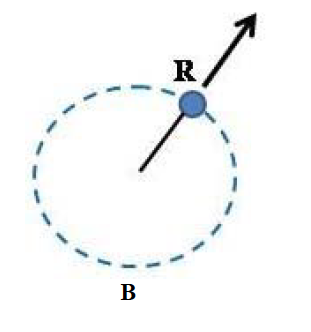 The diagram below shows the path of a ball bouncing on the ground. Four locations in the path are identified with numbers. The map below shows the locations of two cities. 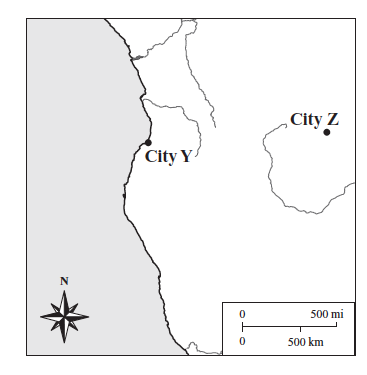 City Y is near the coast, and city Z is near the middle of a continent. The cities have the same elevation. Each circle shown below represents a different atom. 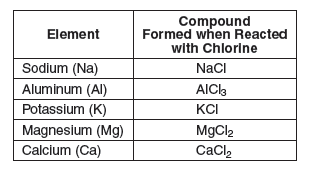 The table below shows five elements and the way they react with chlorine (Cl). 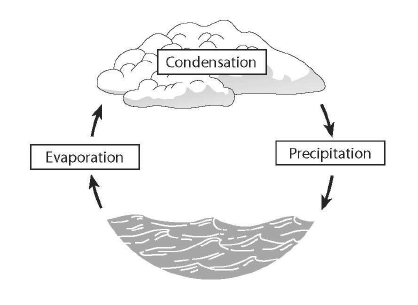 The diagram below shows the water cycle. 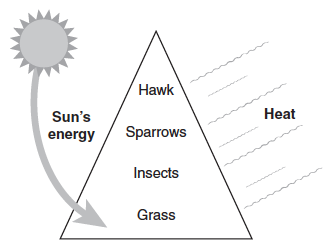 The pyramid below shows how energy changes forms and is transferred in a food chain. 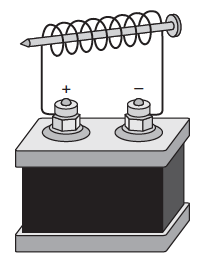 The diagram below shows an electromagnet. Unknown Liquid Demonstrations A science teacher played a short video of two demonstrations that used the same unknown clear liquid. Demonstration 1: The teacher in the video placed one drop of the unknown clear liquid onto a piece of pH paper. The pH paper turned red, indicating a pH of 2. There are many snow-capped mountains around the world. Part of the rock cycle is shown in the diagram below. 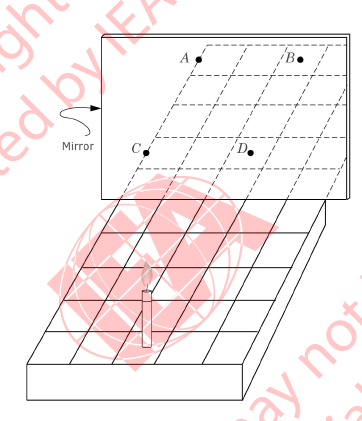 A candle is placed on a ruled grid in front of a mirror, as shown. At what point will the reflection of the candle appear to be? The graph shows the progress made by a beetle moving along a straight line. The diagram below shows Earth's water cycle. Mary went for a cycle ride during which she had a puncture. She repaired it straight away and immediately continued her ride. The graph shows the progress she made during the ride. Bob did an experiment to investigate the effect of temperature on the solubility of sugar in water by measuring the amount of sugar that would dissolve in 1 liter of water at different temperatures. He then plotted his results. Which of the following is likely to be the graph showing Bob's results? Scientists think that the rocks in the picture were once a single rock. 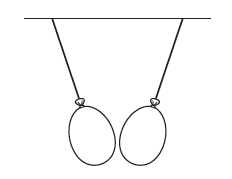 A ball was attached to the end of a string and spun in a circle as shown in Figure 1 below. 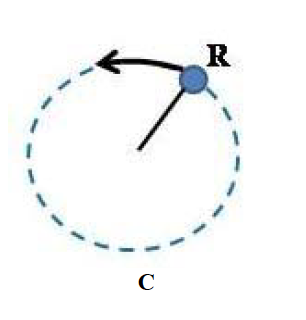 The ball moved in a counter-clockwise direction when seen from above as shown in Figure 2. Study the topographical maps below. 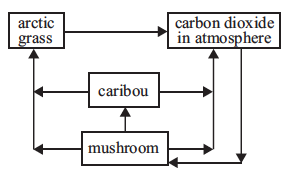 Which diagram correctly models the movement of carbon in a food web? Two balloons are hanging from a ceiling. The tools shown in the picture below are used in a factory. 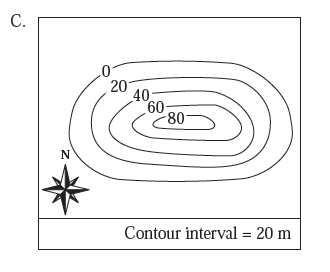 A map with contour lines is shown below. 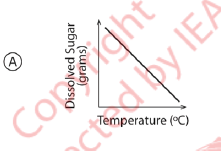 The diagram below shows how a change in temperature affects the physical state of a substance. 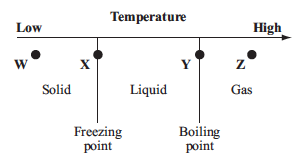 Each of the labeled points represents the same substance at a different temperature. 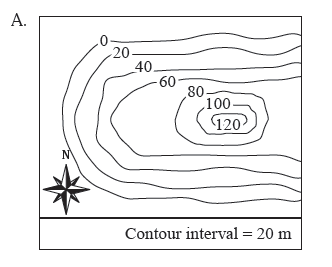 The diagram below shows a side view of a landform with different elevations. 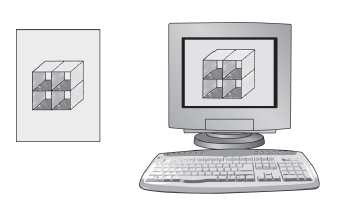 The pictures below show a drawing on paper and the same drawing in an electronic format on a computer screen. A ball will be rolled four times. In which of the following situations will some of the kinetic energy of the ball be converted into potential energy as the ball rolls? A species of bird migrates from South America across the Atlantic Ocean to its summer breeding ground in northern Canada. The birds stop on the east coast of the United States to eat the eggs of horseshoe crabs. 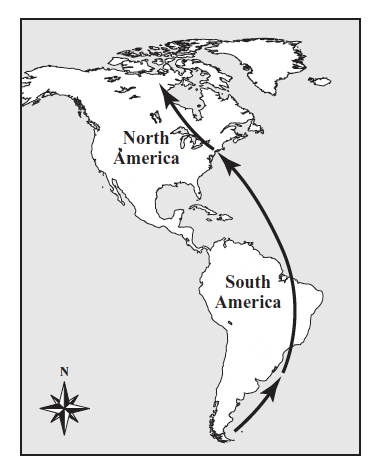 The migration route of these birds is shown on the map below. Use the information below to answer the question. During an investigation, students were given chemical data for several common household products, as shown in the data table below. Students were to determine if a substance was an acid or base by using litmus paper. Litmus paper turns red in an acid and turns blue in a base. 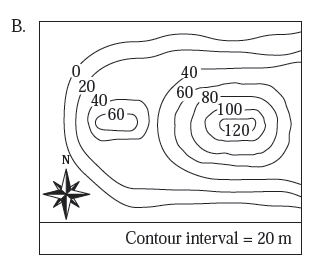 Hikers often use a compass and a map to determine their location. 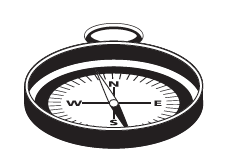 The needle on a compass moves and aligns with the magnetic field of Earth because the needle is magnetized. Use the information below to answer the question. In a lab study, eight bean plants are grown from seeds in individual containers. After a few leaves are visible on each plant, the plants are separated into two groups. One group is placed in a room that gets sunlight, and the other group is placed in a dark room. All of the plants receive the same amount of water daily. After two weeks, the plants are observed. 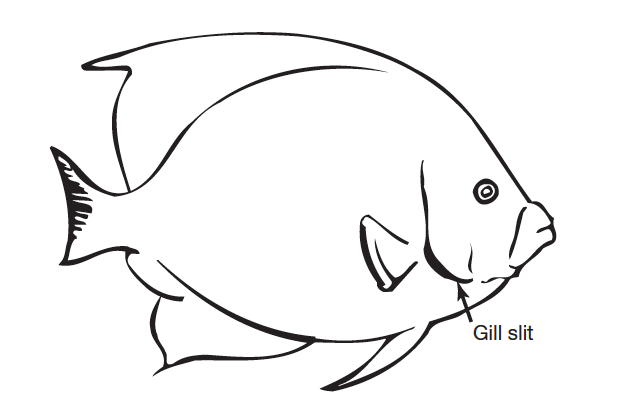 Students observed that fish in an aquarium opened and closed their gill slits faster on Thursday than on the previous Monday. Some students hypothesized that warmer water caused the change in gill slit movement. Other students hypothesized that dirtier water caused the change in gill slit movement. Gravity pulled three toy cars of different masses down an inclined ramp. The toy cars hit a bumper at the bottom of the ramp. Use the information below to answer the question. 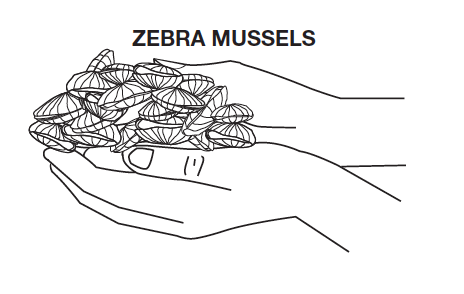 Zebra Mussels Zebra mussels have been found in the Chesapeake Bay. These small, nonnative mussels sometimes cause economic, environmental, and ecological problems. They block the water intake pipes of industrial plants and limit the ability of the plants to generate power, provide drinking water, or treat sewage. The mussel populations grow rapidly and spread to other bodies of water by attaching to boats and equipment below the surface of the water. They consume large amounts of the algae in the water and may decrease the oxygen level of the water. Many beaches are also littered with the sharp shells of decaying zebra mussels. Scientists use pH paper to classify substances as being acidic, basic, or neutral. This pH paper changes color to reflect whether a substance is acidic, basic, or neutral. The picture below shows an analemma, which appears as a figure eight. 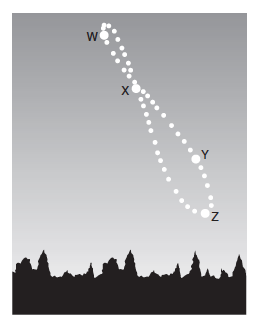 An analemma is produced by photographing the Sun's position at noon from the same place throughout the year. 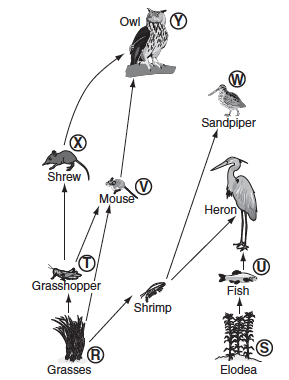 The diagram below shows a tidal marsh food web. 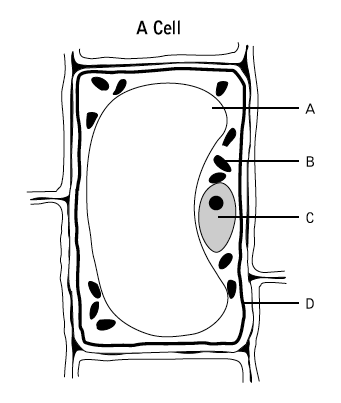 The diagram below represents a plant cell. Letter X represents a structure in the cell. The drawings below represent three different birds. The beak shape makes it easy for each bird to obtain food in a different way. The diagram below represents the stages of development in a mosquito. The diagram below represents a person cooking eggs on a stove. The person has touched the hot frying pan and pulled his hand away. Which graph shows what most likely would happen to the population of a certain animal if a new predator were introduced at time A? The diagrams below represent the same location over a period of many years. The diagram below represents two atoms in a molecule of oxygen that combine chemically with one atom of carbon to form a carbon dioxide molecule. 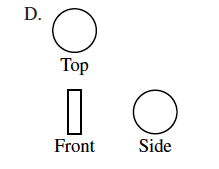 Letters A, B, C, and D in the diagram below represent four positions of the Moon in its orbit around Earth. The arrows in the diagrams below represent the path of light as it strikes four different objects. Which diagram best represents the refraction of light? Base your answer on the portion of the Periodic Table of the Elements below and on your knowledge of science. 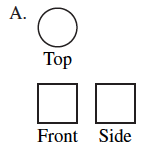 Four spaces on the table have been labeled a, b, c, and d.
Base your answer on the table below and on your knowledge of science. The table shows some physical properties of four minerals. Base your answer on the diagram below and on your knowledge of science. The diagram represents a person pushing a 50-kg box up a ramp. The graph below shows population data for one kind of insect over a 50-year period. The data table below shows times that an observer in New York State saw the Moon rise during a 5-day period. The time of the Moon rise on Wednesday is not shown. 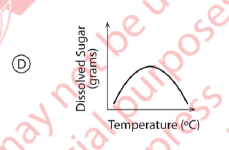 The solubility graph below shows the amounts of four substances that will dissolve in 100 grams of water at various water temperatures. Use the information below to answer the question. Toy Car Race Ms. Williams' science class uses a toy car race to study and collect data about forces and motion. The racetrack shown has a 6-meter ramp and a 5-meter level section to the finish line. Two cars compete at a time. 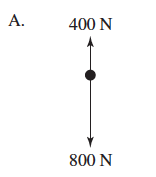 Use the following information and diagram to answer the question. A ball is released from rest at position 1. The diagram shows the ball in four positions as it rolls along a track from left to right. 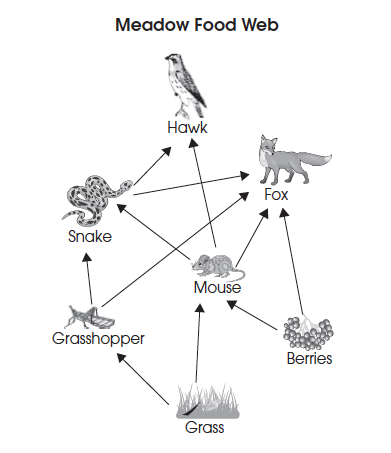 The food web shows the interactions between organisms in a meadow ecosystem. A meteorologist collects data on the weather conditions at an airport. 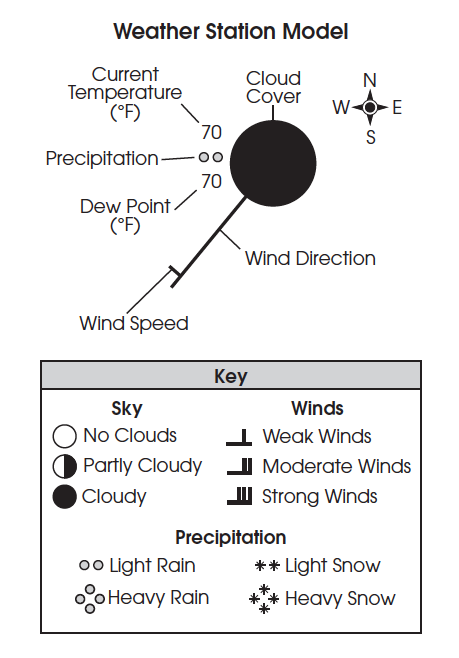 The diagram shows a weather station model of the data that he collected. 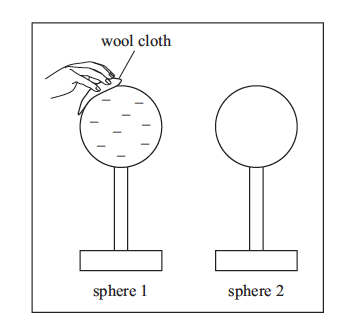 One of the two identical metal spheres is given a negative charge by rubbing a wool cloth on its surface. A student rolls a ball down the ramp shown in the picture below. 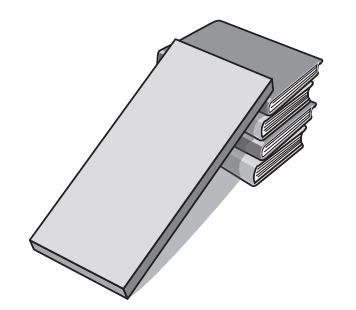 The ramp is supported by four stacked books. Use the information below to answer the question. Casey has two glass jars of the same size. He fills one with water; the other contains air. He places a flat magnet on the top of each lid and a metal ball bearing on the inside of each lid under the magnet. He then screws each lid onto a jar. The magnets hold the ball bearings in place under the lids. 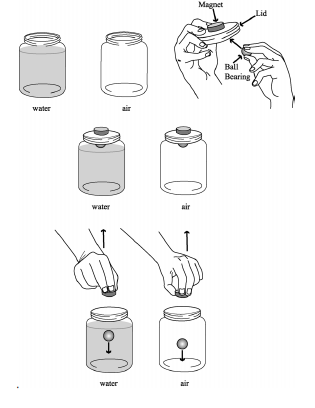 Casey then removes the magnets at the same time, and the ball bearings drop into the jars. Ancient Trees The climate in central California's White Mountains is cold and dry. Clouds traveling east tend to lose their moisture over the Sierra Nevada, a large mountain range just west of the White Mountains. For this reason, the White Mountains receive less than 30 cm of precipitation per year. Most of this precipitation falls as snow. The White Mountains are the home of the oldest living trees on Earth, bristlecone pines that can survive thousands of years. 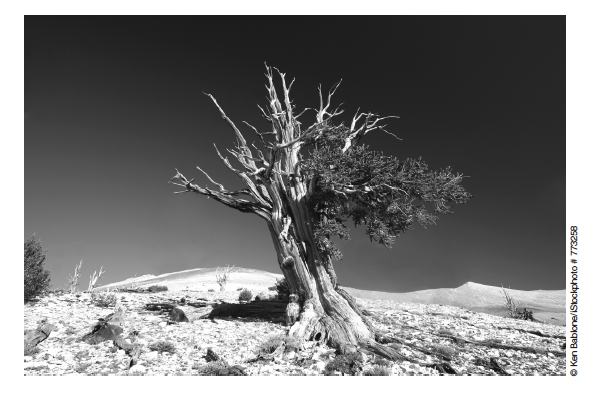 Bristlecone pines have several strategies for surviving in this dry environment. These trees often grow in patches of dolomite soil. Dolomite is a type of limestone that holds more moisture than the surrounding sandstone. The light color of the dolomite soil reflects sunlight, helping keep the trees' roots cool and conserving the limited moisture. Needles on these trees can live 20 to 30 years. They provide a stable source of photosynthesis for many years. These ancient trees teach scientists about Earth's climate history. Each spring and summer the trees grow a layer of new cells between the living wood and the bark. The trees grow more in a wet year than in a dry year. Because these trees live a long time, they can be used as a record of climate change over thousands of years. What does this type of house indicate about the area? (A) Floods occur in the area. (B) Earthquakes occur in the area. (C) The soil is unstable in the area. (D) The soil stays frozen in the area. 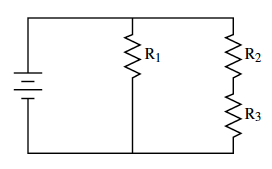 If energy losses due to friction can be ignored, which of the following statements is correct? (A) At Position Z, kinetic energy is greater than at Position X. (B) At Position Y, potential energy is greater than at Position W.
(C) At Position X, potential energy is lowest and kinetic energy is greatest. (D) At Position W, potential energy is lowest and kinetic energy is greatest. Which statement best explains why the students conducted three trials? (A) Three trials were used because the students studied three different temperatures. (B) The students repeated the experiment until the ball reached a height of 48 cm. (C) The students used the first trial to practice and the last two trials to collect experimental data. (D) Performing an experiment with multiple trials can increase the accuracy of the students' results. 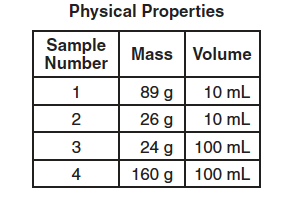 Given that the density of water is 1 g/mL, which mL of the samples is most likely cork? Which of these are not represented in the food web? Based on this data, which is the best conclusion? (A) Liquid X cannot mix with any other liquid. (B) Liquid X must be able to mix with some other liquid. (C) Liquid X cannot mix with these four liquids. (D) Liquid X can mix with most other liquids. Everything that enters this cell passes through which structure? All of the internal structures shown in the diagram together make up what level of organization? 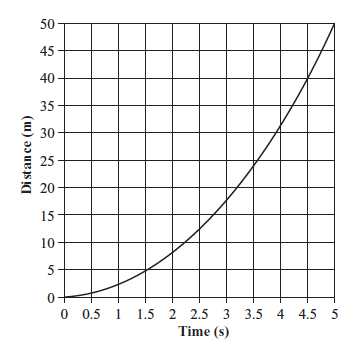 What is the speed of the object represented by the graph above? Which of the following is an accurate orthographic projection of the design shown above? 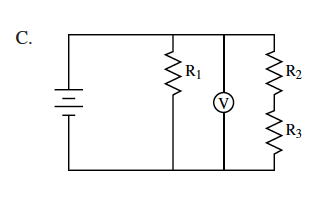 Which of the following diagrams shows a voltmeter correctly attached to measure the voltage drop in R2? Pliers multiply the force of a person's grip through the use of leverage. 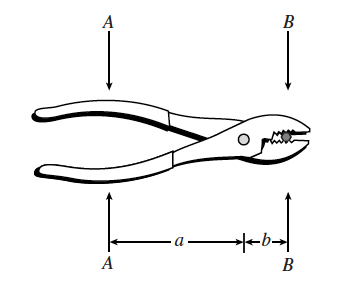 For the pliers shown, A = 10 lbs., a = 3 in., and b = 1 in. What is the gripping force, B, at the jaws of the pliers? Aluminum sphere A contains a small negative charge and is touched by aluminum sphere B, which has a larger negative charge. Which of the following occurs next? 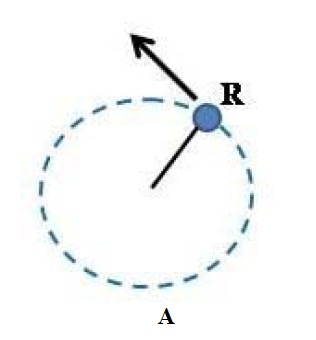 (A) Protons flow from sphere B to sphere A. (B) Protons flow from sphere A to sphere B. (C) Electrons flow from sphere B to sphere A. (D) Electrons flow from sphere A to sphere B. Which of the following statements is best supported by the horse fossil record? (A) The horse has been a carnivore. (B) The horse has changed over time. (C) The horse has many common ancestors. (D) The horse has lived in the same ecosystem. When considering an iron as an example of a system, what is the input? Based on the sensitivity of the graduated cylinder, what is the volume of the liquid? What do these organisms have in common? (A) They are made of cells. (B) They produce their own food. (C) They decompose other organisms. (D) They are disease-causing organisms. What is the average speed of the ball? 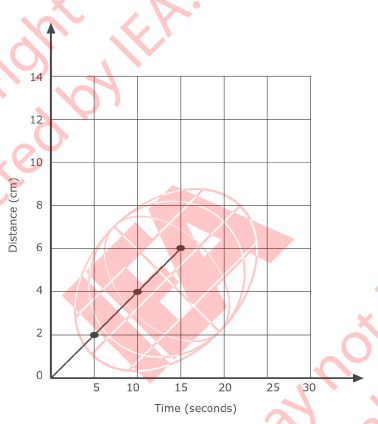 According to the graph, which of the following conclusions about the car's motion is supported? (A) The car is accelerating. (B) The car is stopping and starting. (C) The car is traveling at a constant velocity. 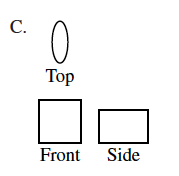 (D) The car is moving through an obstacle course. 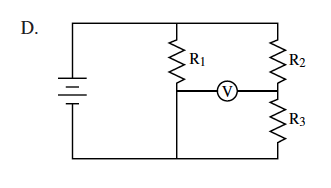 Which of the following processes is illustrated? 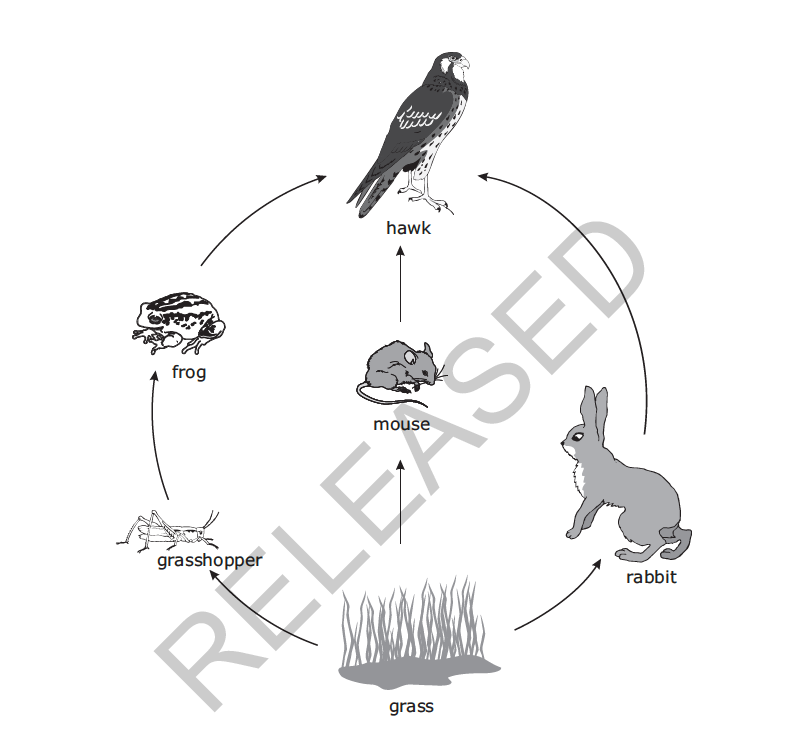 The X in this food web most likely represents which of the following? Which of the following is the same for both compounds? 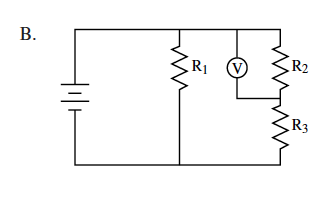 Which of the following best describes the function of this system? At which location does the ball have the greatest amount of kinetic energy? Based on the map, which of the following statements describes how the climates of the two cities are most likely different? (A) City Y receives less rain than city Z. (B) City Y has colder winters than city Z. (C) City Y has cooler summers than city Z. (D) City Y receives more sunlight than city Z. 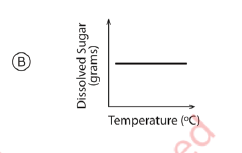 Which diagram illustrates that matter is always conserved during a chemical reaction? Which two elements are most likely from the same family or group in the periodic table? Which statement best describes the water cycle? (A) Driven by the Sun, the water cycle adds new water as precipitation. (B) Driven by the Sun, the water cycle moves water throughout Earth. 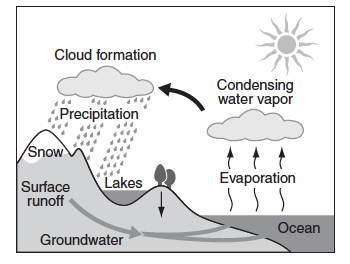 (C) Driven by Earth's internal heat, the water cycle adds new water as precipitation. 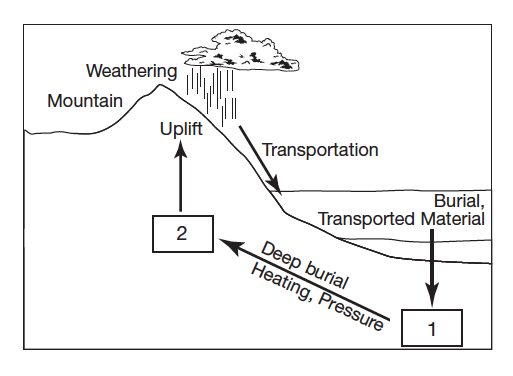 (D) Driven by Earth's internal heat, the water cycle moves water throughout the planet. Which statement explains why less energy is available as it is transferred through each step of the food chain? (A) Heat is added at each level. (B) Organisms at each level use some of the energy. (C) The higher levels do not need as much energy. Which statement best describes this application of an electromagnet? (A) The magnetic field in the battery causes an electrical current in the nail. (B) The magnetic field in the battery causes a magnetic field around the nail. (C) The electrical current supplied by the battery causes an electrical current in the nail. (D) The electrical current supplied by the battery causes a magnetic field around the nail. Demonstration 2: The teacher in the video placed a beaker containing a copper penny under an operating fume hood, which safely removes gases. With the fume hood running, the teacher placed one drop of the unknown clear liquid on the copper penny. A dark red gas and a blue liquid immediately formed. The students recorded data from both demonstrations in the table shown below. The elevation of this mountain is nearly 3,048 meters. The summer climate in the area is generally cool and rainy. Summer temperatures reach 21°C. During many months of the year, the day and night temperatures vary significantly. The weather changes quickly. Approximately 300 centimeters of snow usually covers the ground from November until May. Water is easily trapped in cracks and layers of mountain rock. Alternating high and low temperatures affect the water, which freezes and thaws many times. Which process causes changes to the rocks due to repeated freezing and thawing of trapped water? If the beetle keeps moving at the same speed, how long will it take to travel 10 cm? What is the source of energy for the water cycle? About how long did it take Mary to mend the puncture? 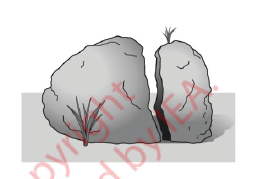 Which property of water had the most effect of splitting the rock into two pieces? (A) Water expanding when it freezes. (B) Water boiling at 109°C. (C) Water having a density less than rock. (D) Water dissolving many substances. The organisms are separated into the two groups based on what characteristic? Procedure: 1. 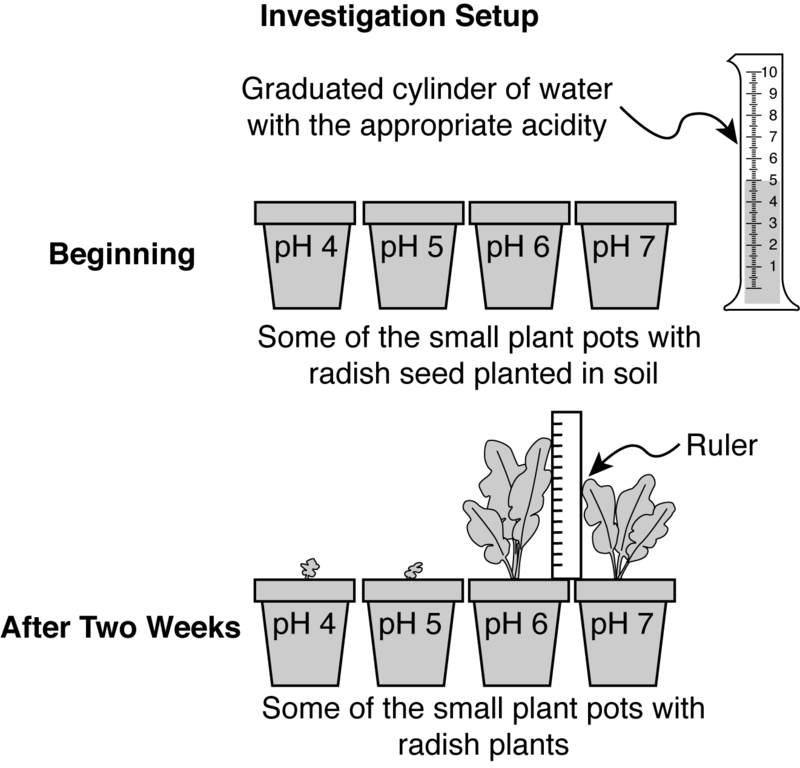 Label six pots pH 4, six pots pH 5, six pots pH 6, and six pots pH 7 as shown in the Investigation Setup diagram. 2. Plant one radish seed in each pot. 3. Every three days pour 5 milliliters of water with the labeled pH into each pot. 4. Measure and record the height of the tallest leaf of each radish plant after watering. 5. 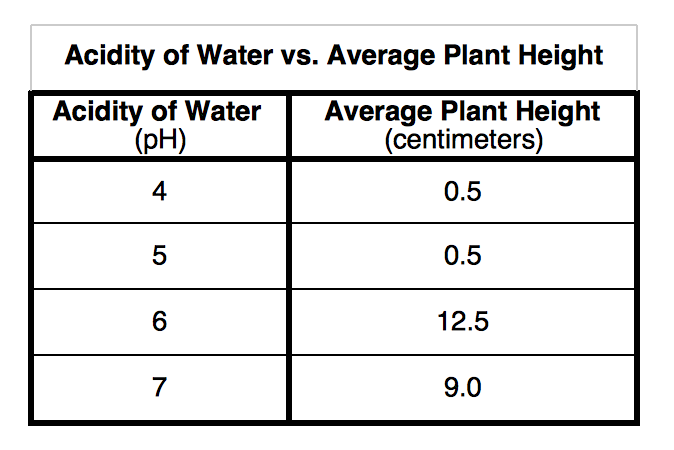 After two weeks, calculate and record the average plant height for each of the four pH groups. 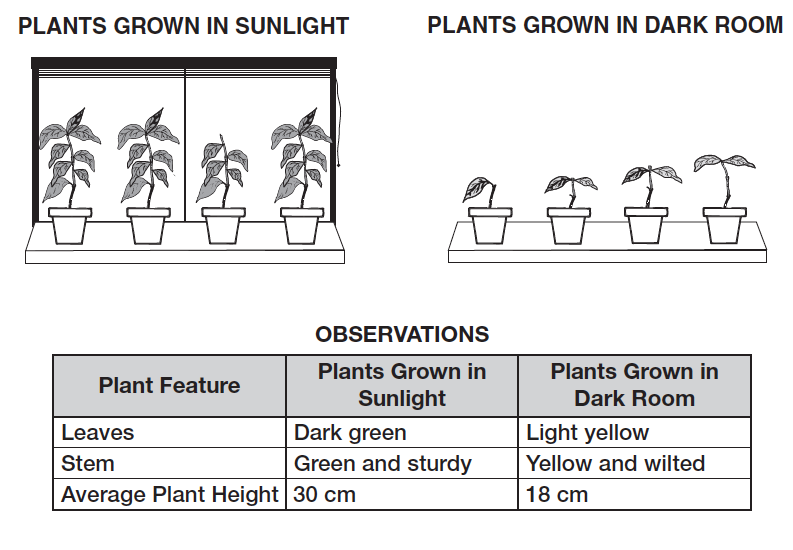 Data: The table below shows the calculated average plant heights for the six plants in each of the groups. Which of the following variables was a controlled (kept the same) variable in this investigation? How could Amanda make the investigation results more reliable? Which of the following systems in a human body performs the same function as the stem in a radish plant? What provides Amanda's plants with the energy needed for growth? 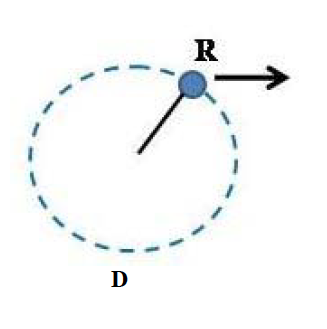 After several spins, the string was released when the ball was at point R. Which diagram shows the direction that the ball would fly the instant the string was released? 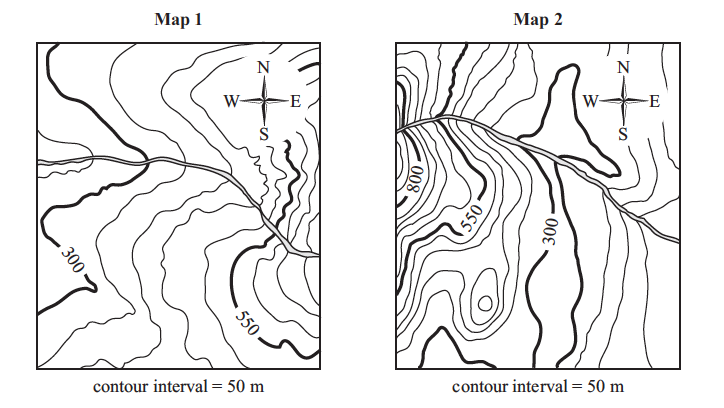 Which features are most likely shown in both topographical maps? In which of the following manufacturing processes are these tools most likely used? 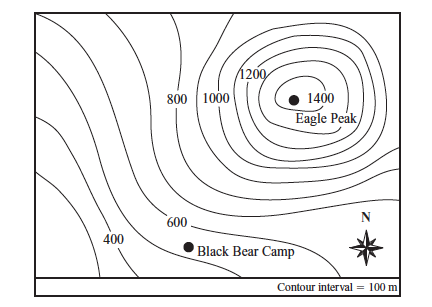 Which of the following is the best estimate of the difference in elevation between Black Bear Camp and Eagle Peak? Which point represents the substance in the physical state with the particles moving the least? 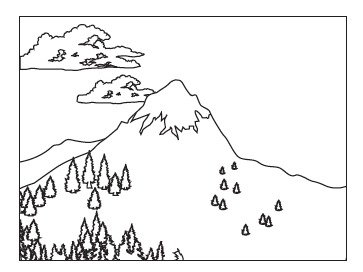 Which of the following maps best represents this landform? Which of the following devices was most likely used to convert the drawing on paper into an electronic format that could be viewed on a computer screen? Which of the following changes would most threaten this species of bird with extinction? Which physical property best classifies vinegar in a separate group of substances from oven cleaner? Which statement describes the motion of the molecules within the carpet cleaner when enough heat energy is added to boil the carpet cleaner? (A) The molecules stop moving. (B) The molecules move more slowly. (C) The molecules move more quickly. (D) The molecules begin moving at a constant rate. Which action most likely affects the accuracy of a compass? Some volcanic eruptions release so much ash into the air that the amount of sunlight reaching the surface of Earth is reduced. Which requirement for plant growth would be greatly reduced after such an eruption? What is the ratio of the masses of the toy cars? Which color on the pH paper would indicate the strongest acid? Which position indicates the time of year with the greatest amount of sunlight? 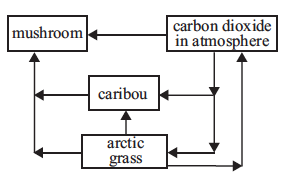 At which points does energy enter this tidal marsh food web? Point X in the diagram above shows the highest point above the horizon that the Sun reaches in the spring at noon. When is the Sun's position most likely to be at point Y? Which cell structure is represented by X? Which process is represented by the four stages in this diagram? 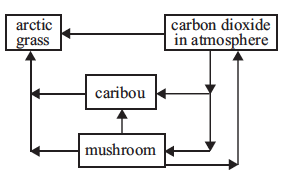 Which title is the best one for this diagram? 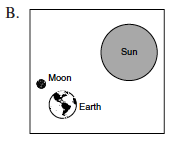 At which Moon position would a person on Earth see the entire lighted half of the Moon (full-Moon phase)? Information for the element lead (Pb) is shown below. In which labeled space on the portion of the table should the element lead (Pb) be placed? Which element from this portion of the table chemically reacts in a way similar to the way the element chlorine (Cl) reacts? Which element is classified as a noble gas? Which mineral is hard and has the same color and streak? Which physical property best distinguishes magnetite from pyrite? Which two simple machines are being used in the diagram? Which force will decrease if the surface of the ramp is made smoother? Which statement best describes the population of this insect over the 50-year period? 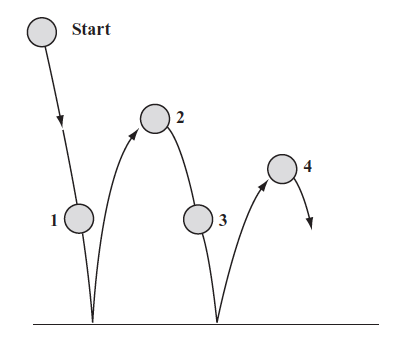 (D) It followed a cyclic pattern. Based on the pattern in the data table, at what time did the Moon rise on Wednesday? 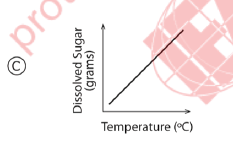 Which substance has 80 grams of solute dissolved in 100 grams of water at 50°C? 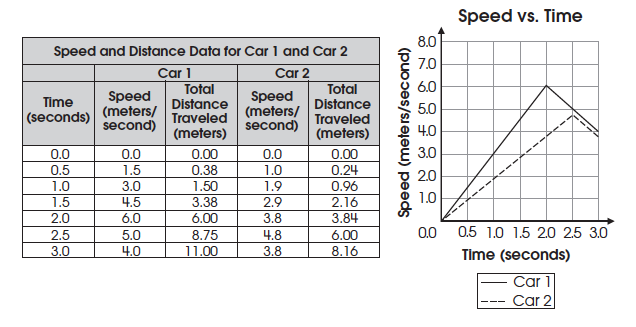 The data table and graph below show the speed and total distance traveled for car 1 and car 2 during the first three seconds of a race. On what section of the racetrack will the forces on the cars be balanced? At what point on the track does a car reach its fastest speed? In which position does the ball have its minimum gravitational potential energy and maximum kinetic energy? 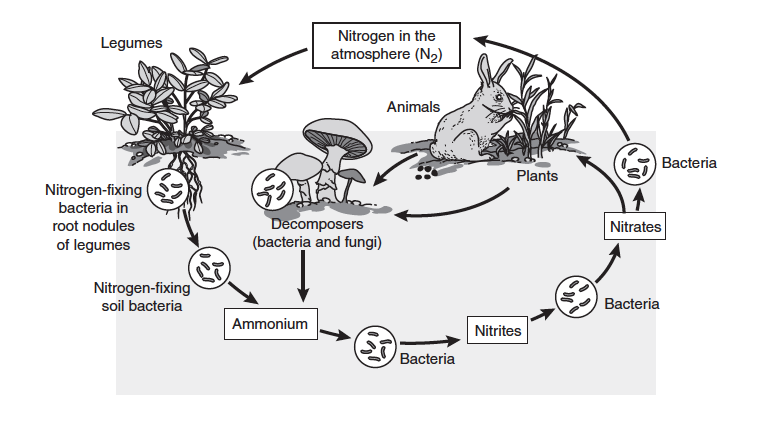 Which organism gets food energy directly from both plants and animals? At the time these data were collected, flights at the airport were delayed. According to this information, which weather condition caused the delay? During a dissection activity, a student accidentally knocks a scalpel off the lab table. Which of these actions should the student take? 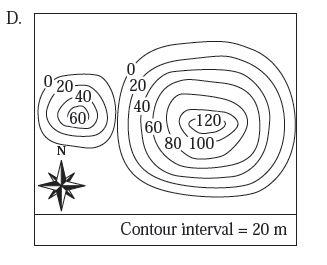 Planting additional legumes in the area shown above would most likely lead to which of the following? 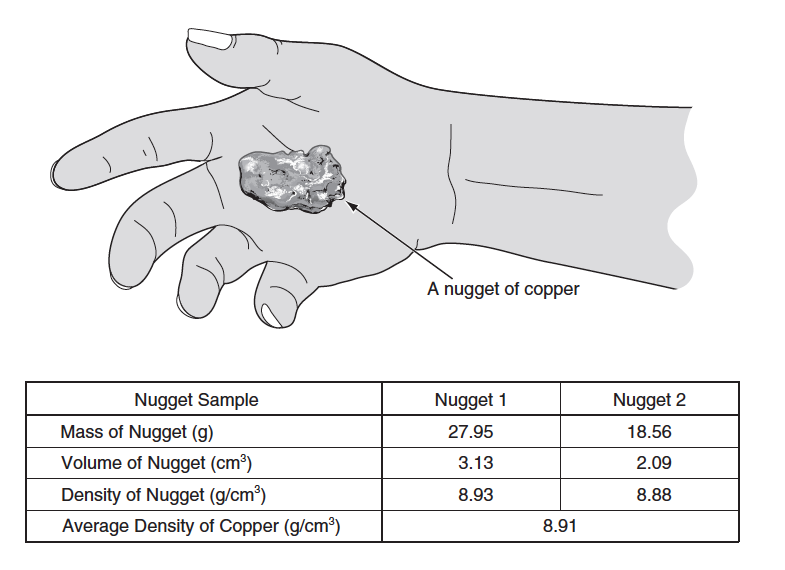 A field geologist collected data for two nuggets of copper and determined their density. Which two pieces of equipment did the geologist most likely use to determine the density of the copper nuggets? A gasoline-powered vehicle goes up a hill from point X to point Y. What energy transformation must occur in the car's engine? Next, one sphere is moved so that it touches the other sphere, and then they are separated. Which statement correctly describes the spheres after separation? (A) Each sphere has a positive charge. (B) Each sphere has a negative charge. (C) Sphere 1 is neutral, and sphere 2 has a negative charge. (D) Sphere 1 has a positive charge, and sphere 2 has a negative charge. The student removes two books from the stack supporting the ramp and rolls the ball down the ramp again. Which of the following statements best describes how the ball's motion is different after the books are removed? (A) The ball accelerates more quickly down the ramp. 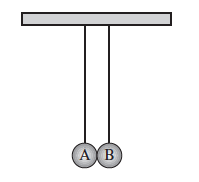 (B) The ball has a higher speed at the top of the ramp. (C) The ball takes more time to reach the bottom of the ramp. (D) The ball has a higher average speed when it rolls off the ramp. Suppose Casey adds a third glass jar containing syrup to the experiment. The picture below shows his new experimental design. He follows the same procedure, removing the magnets from all three jars at the same time. Will Casey be able to draw a valid conclusion from the new data? (A) Yes, because the jars are all made of the same material. (B) No, the syrup jar is shorter and it will invalidate the results. (C) Yes, the same procedure is followed and results will be valid. (D) No, syrup is a colored liquid and it will invalidate the results. Where is the largest amount of energy found in this food web? A student studying spiders creates the table shown above. What is the best conclusion the student can make based on this information? (A) Web spiders are larger than hunting spiders. (B) Wolf spiders are the largest of these spiders. (C) Hunting spiders usually have warning color patterns. (D) Jumping spiders are faster than yellow garden spiders. 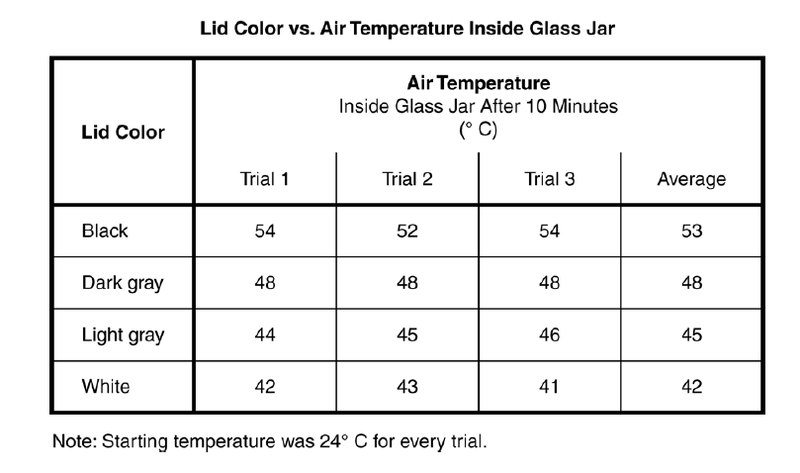 What was the purpose of waiting until the air in the jar returned to the starting temperature in Brandi and Jerry's experiment?